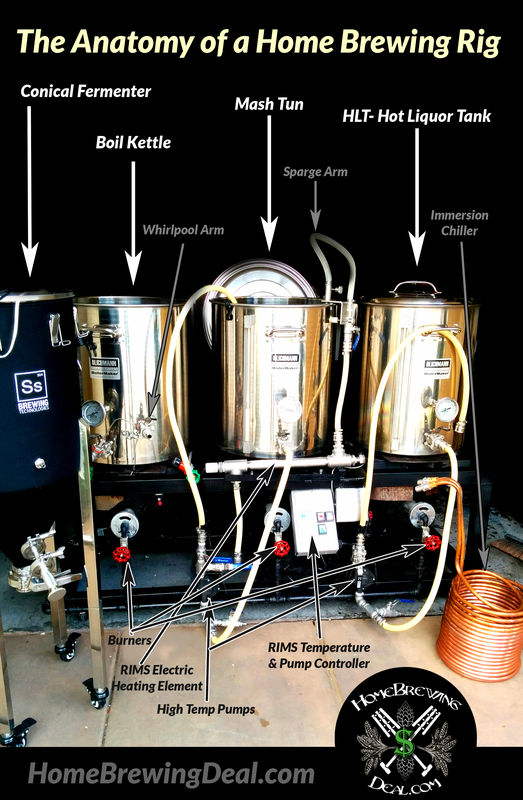 Here is the anatomy of a home brewing system – brewing stand – brew rig – brewing sculpture – home brewery. It detains the layout of the pumps, burners, brew kettles and RIMS system. This is the West Coast Brewer home brewing rig which I have the pleasure of being able to brew with. You can check out WestCoastBrewer.com for more details on their home brewing system.